HomeBootlegBootleg: Void Of Vision performing “You Will Bring Me Down”! Bootleg: Void Of Vision performing “You Will Bring Me Down”! Around the mighnight hour GMT, UNFD released and then swiftly pulled the official music video for “You Will Bring Me Down” by Void Of Vision. We had the pleasure of meeting them at Camden Underworld when they were supporting Miss May I and talking all things DVSR. Great bunch of dudes, overjoyed to be in London! 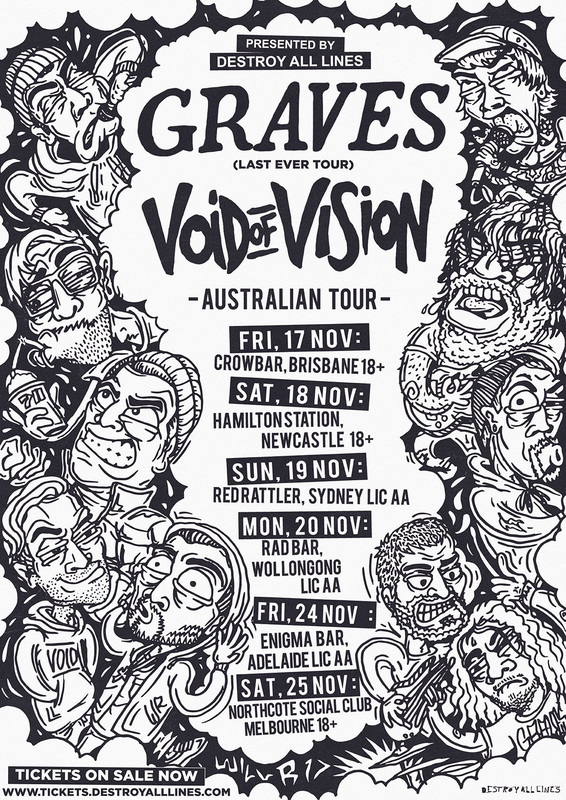 In the meantime, while we await the official release, here’s a bootleg of the song from the Hamilton Station stop of their November tour with Graves. The bass stunning EP “Disturbia” is out now via UNFD. Check out our review! Bootleg: Quadruple from Architects in Amsterdam! Bootleg: Dead Hands at Upsurge Festival! Bootleg: Make Them Suffer in Canada!